Our March Leading Lady, Maria Fischer is back for her sensational second performance! If you missed her smashing debut you must see it...CLICK HERE. Maria takes on another fun trend today with an array of fabulous cards! Guten Tag Winnie & Walter fans! I'm excited to bring you Take Two as Leading Lady. Today it's all about the ILLUSTRATED trend. Just think handwritten fonts. Or children's books. The latest W&W release is perfect for this trend! Simple. 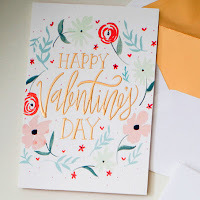 The large handwritten sentiment from Kindness with Evelin T Designs is the focal point of my card.. Then I chose an image from the set that looks hand-drawn and gave it an imperfect look by coloring it outside the lines. Achieved this by using the "wrong side" of the stamp, inking it up with two green Distress Inks and a brown and spritzing it before stamping. TIP: For this technique of stamping with the reverse side, symmetrical images work best. The tiny red heart dotting the "i" adds a pop of color, a bit of texture and underscores the message. It's a four-fer (a la Yana S). Not so simple, perhaps, but definitely worth it cuz you get four whimsical cards from stamping one piece of cardstock. The sweet birdies and their accessories from the adorable set LS Exclusives: So Tweet with Evelin T Designs lend themselves perfectly to this style. And to baby cards. I've a tutorial on random stamping here if you're interested. I stamped with gray ink and kept my Copic coloring to a minimum using sweet baby colors. Varied the design a bit and added some sequins from Lucy's Winnie's Sparkly Shaker Selection mix. Those precious little inlaid hearts on the circle sentiment panel are from Essentials: Audrey Cutaways. There are cowboy hats and ties and spectacles in So Tweet too... just imagine a version in little boy colors! I ran across this card perfectly reflecting the trend of handwritten-font-nestled-in-a-wreath-of-illustrated-images at Print and Pattern and figured I could create my own version of it using the incredibly versatile In Bloom: Eva's Favorite Flowers stamp set. Of course I had to nest two of those adorable tweeties from So Tweet in my pattern too! TIP: Use pigment inks to get opaque images; dye inks soak into cardstock and the colors will mix. I used cream cardstock, heat embossed my sentiment in gold and added a strip of washi along the bottom to add some shine to this one-layer card. You could achieve a completely different, just as fun look by using bold, bright colors and a black sentiment on white cardstock. Remember, Winnie & Walter have given me a $30 gift card to give away on rieslingmama. Visit me and comment on my four Leading Lady posts to be eligible for the giveaway. (Or if you have any questions about supplies I've used.) I'll announce a lucky winner on April 6th. Terrific cards, Maria, & you've made me want these W&W products even more! I especially love your last card--wonderfully stamped & thanks for the tip re pigment inks! Oh wow!! STUNNING creations!! Love them all!! These are so whimsical and lovely, great job, Maria! 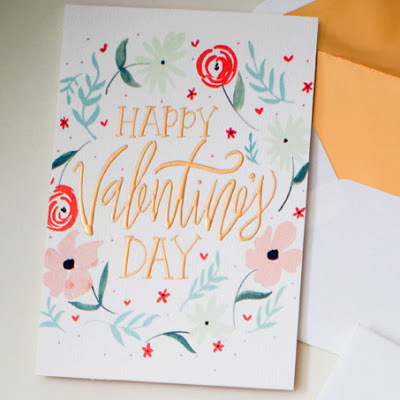 Love the soft all over pattern cards the most but they are all so lovely! Great cards. Such lovely cards! All of them are so pretty. Lovely as any children's book I've read, Maria! LovemW&W stamps. Beautiful flowers. Love your cards. Great cards. My favorite is the first one with the tree. Every creation is so beautiful and inspiring, love the softness! Amy took the "sigh" right out of my mouth ... I was sighing, oohing and ahing as I looked through all your cards and read the story behind each one!!! Your stamping is ABSOLUTELY FABULOUS and your colours A DELIGHT Maria!!! Wow! Great cards!!!! I love the "Welcome card"! Fab cards - Maria has such a distinctive style! so simple, and so colorful! Oh, these are absolutely lovely... how I understand you, I have a huge crush for children's books too. You had such a fun idea using illustration as a theme, love it! BEautiful cards!! Absolutely love the baby cards!! so beautiful! !